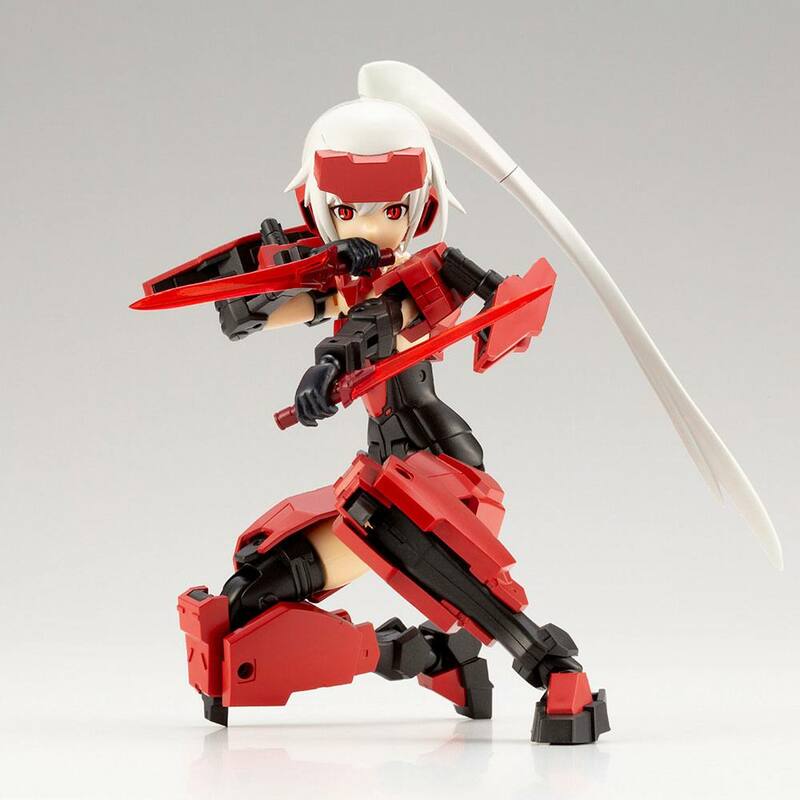 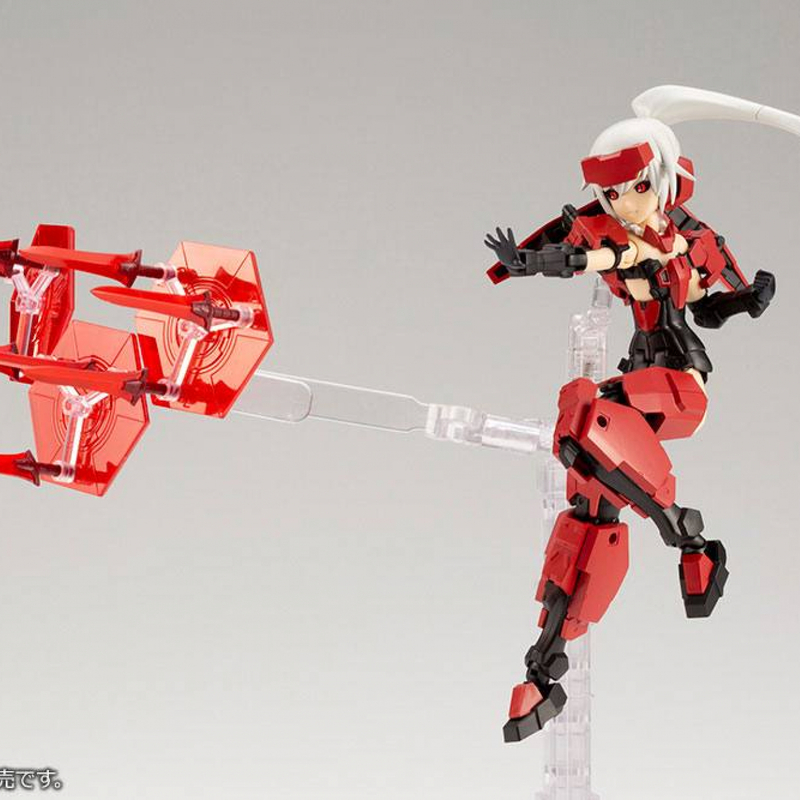 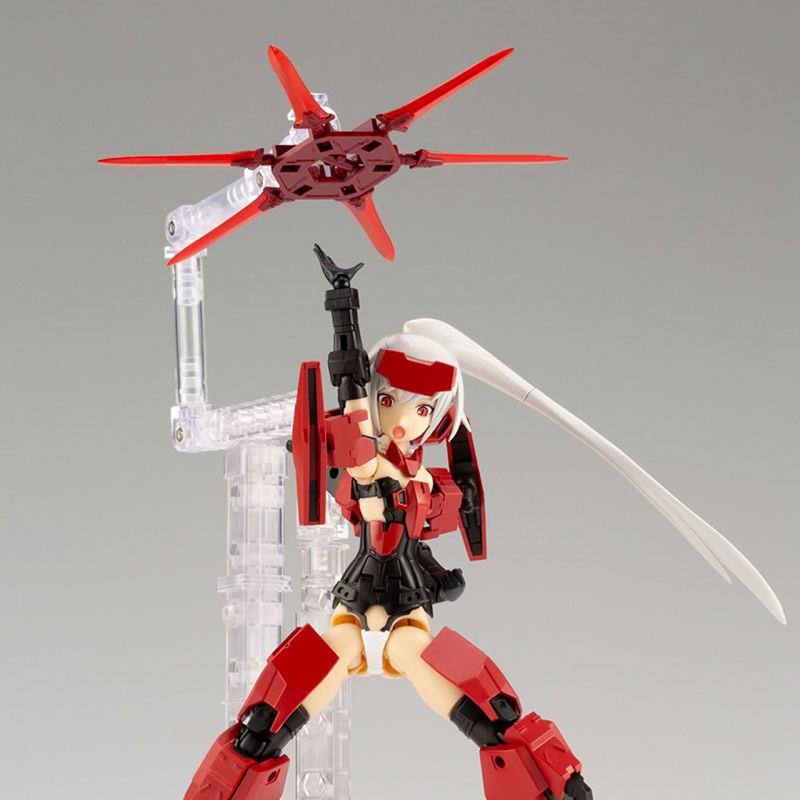 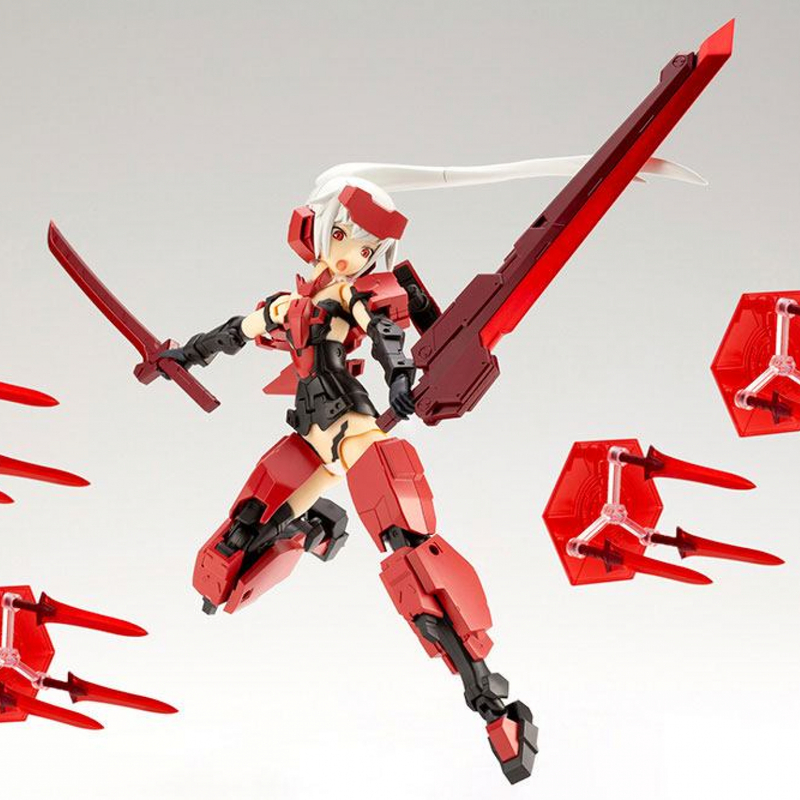 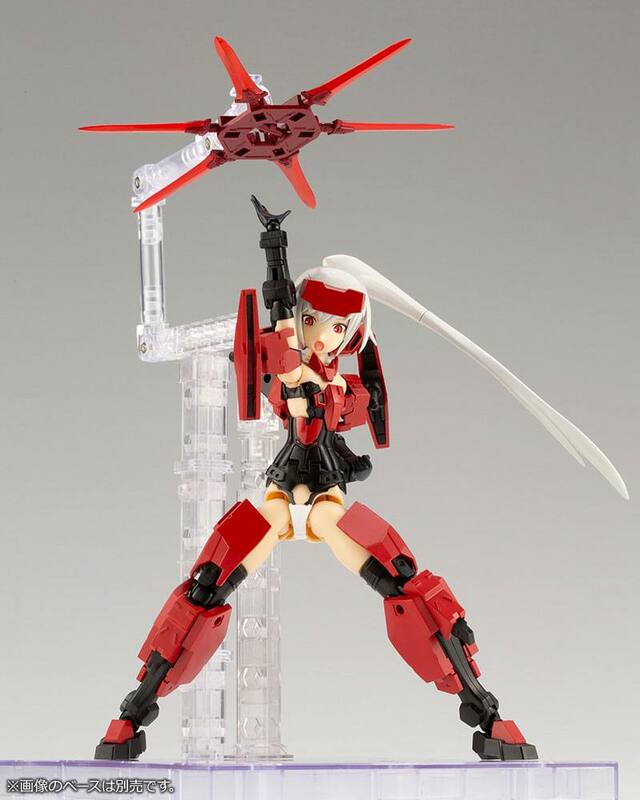 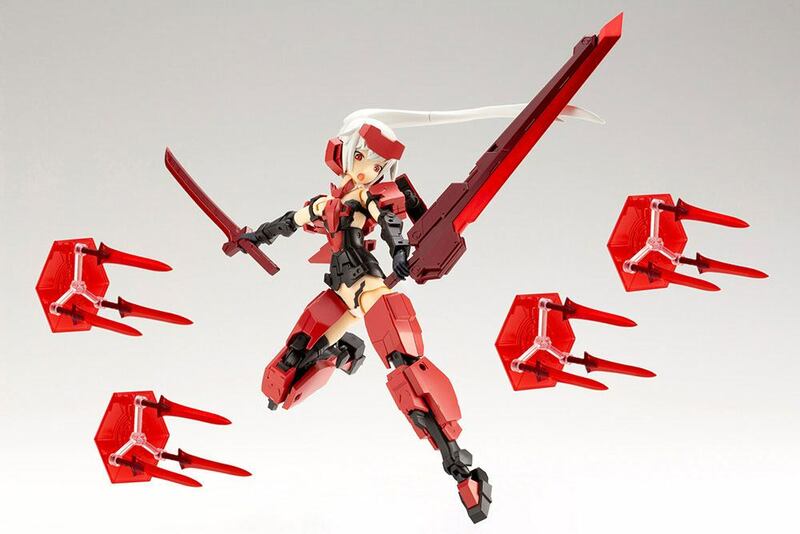 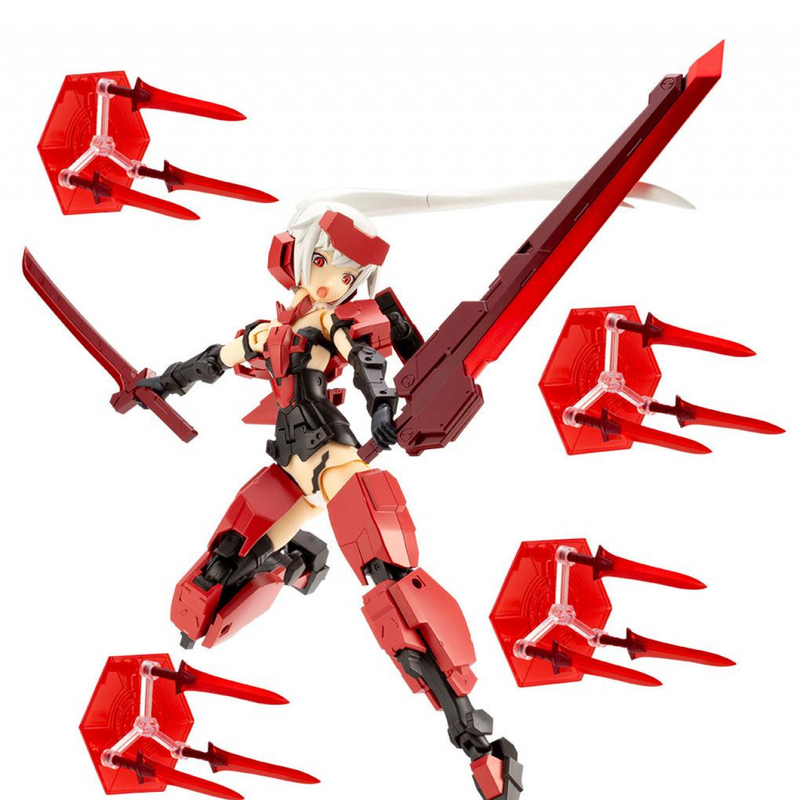 This Frame Arms Girl and weapon set includes a Jinrai model with a Japanese-style red, black, and white color scheme as well as a matching set of weapons in a complementing red color. 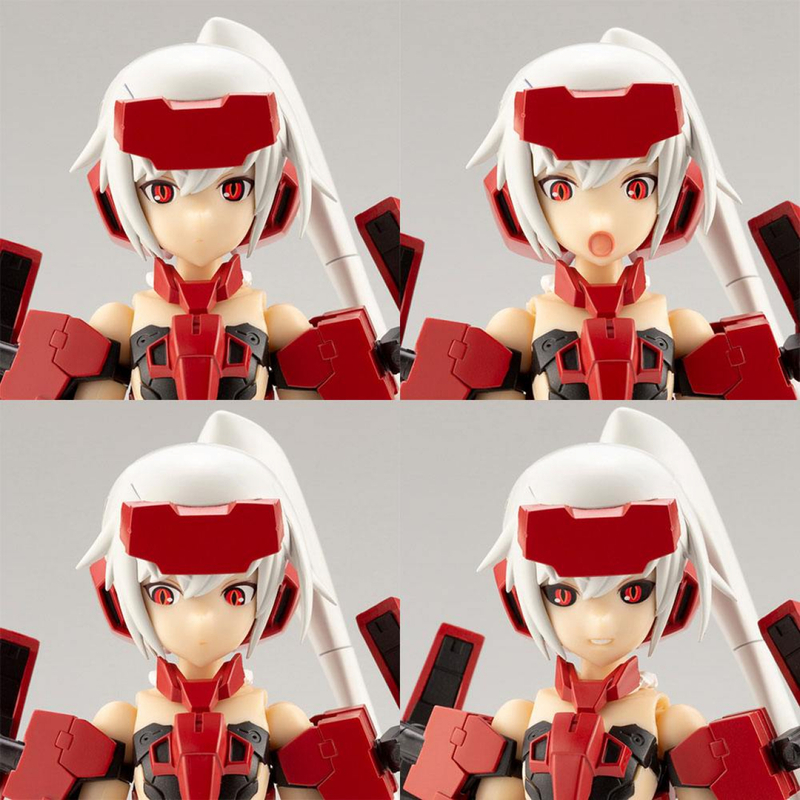 The kit also includes silver foil decals and special facial expression decals. 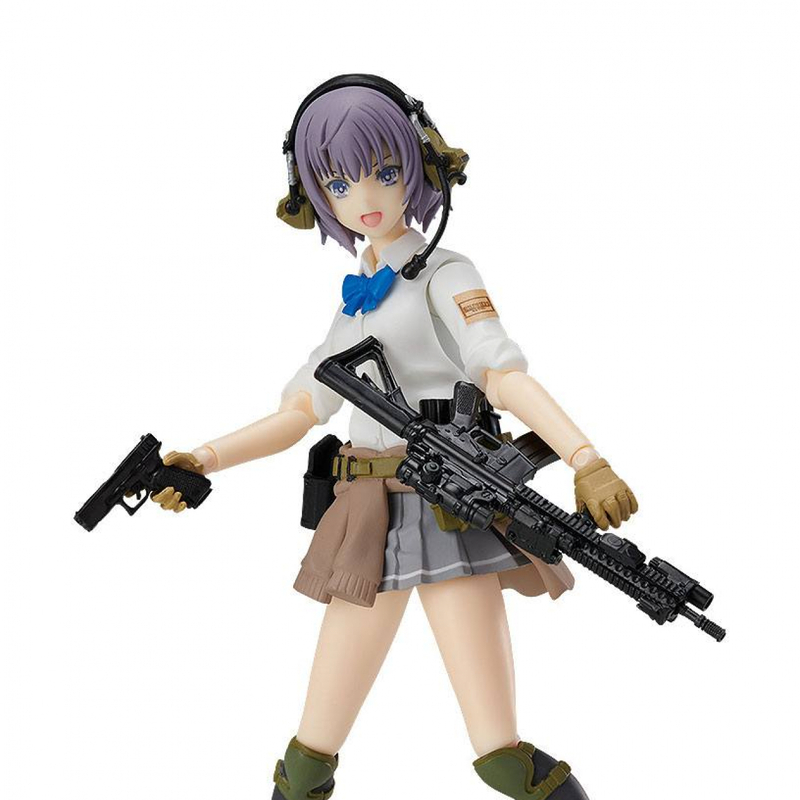 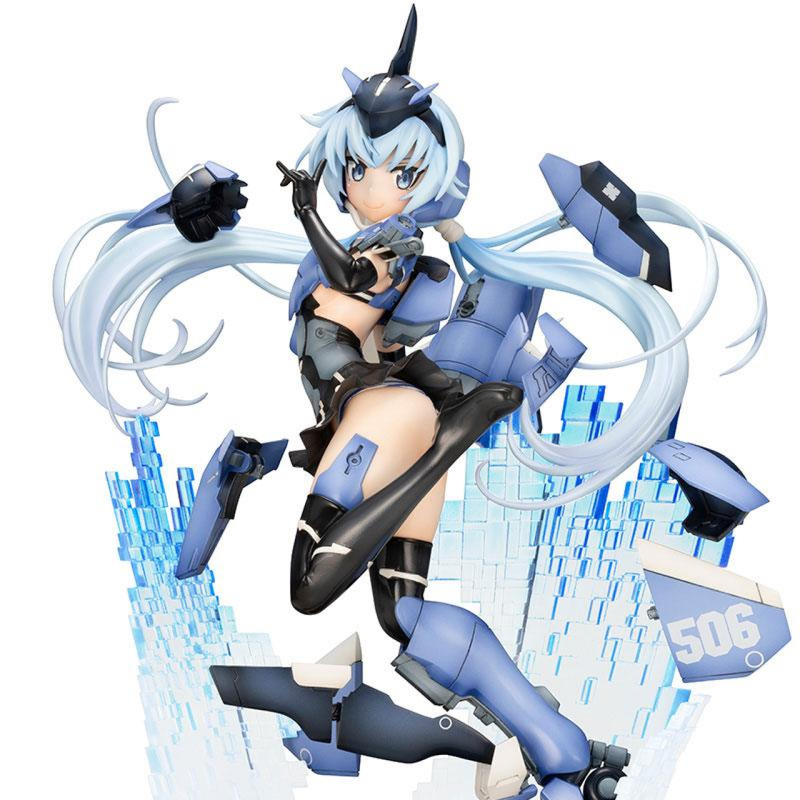 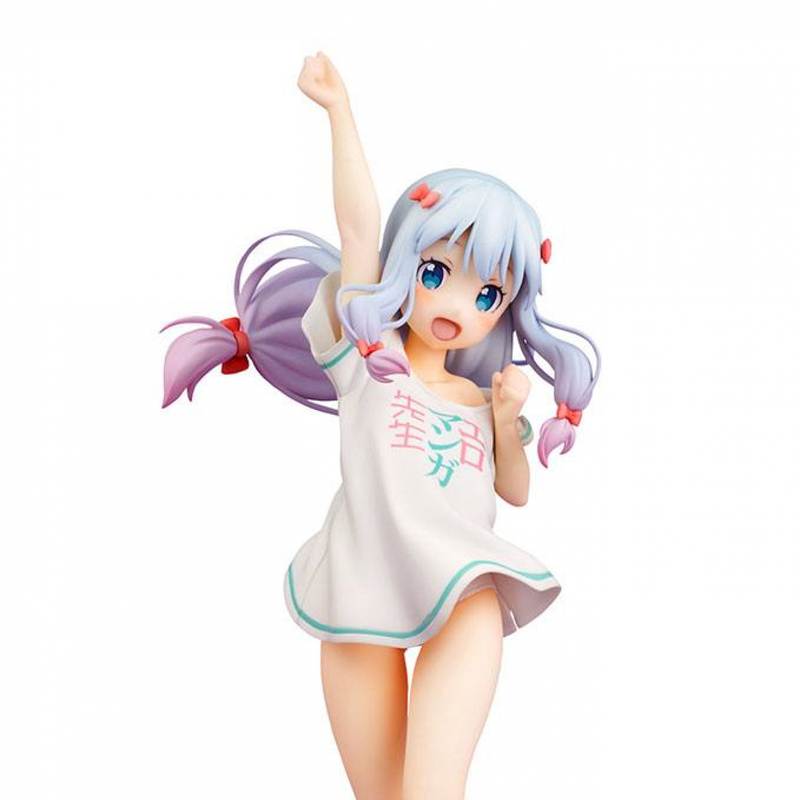 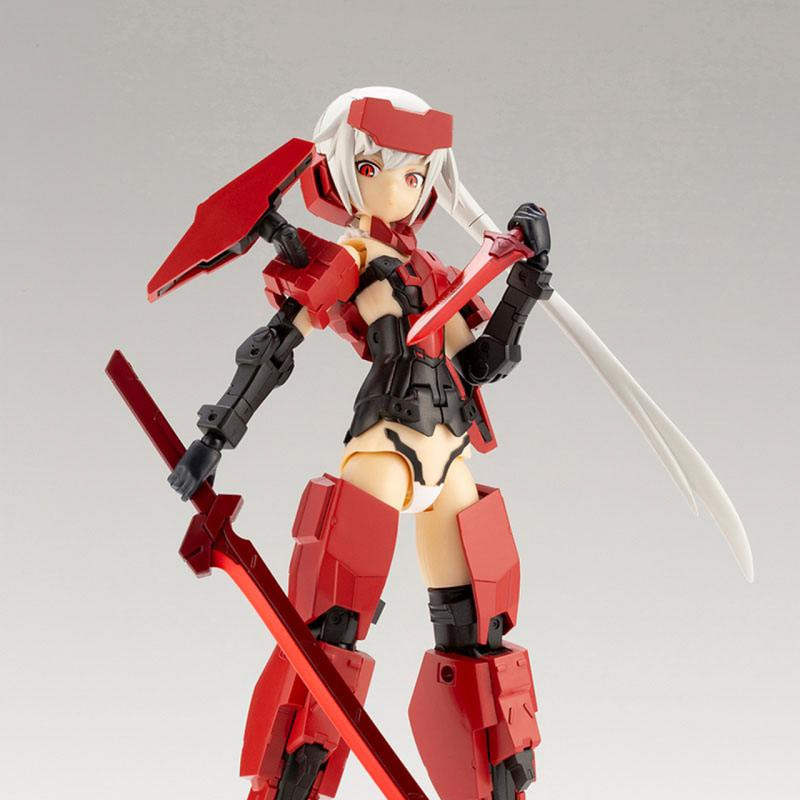 *This kit includes a specially colored Frame Arms Girl Jinrai model, M.S.G. 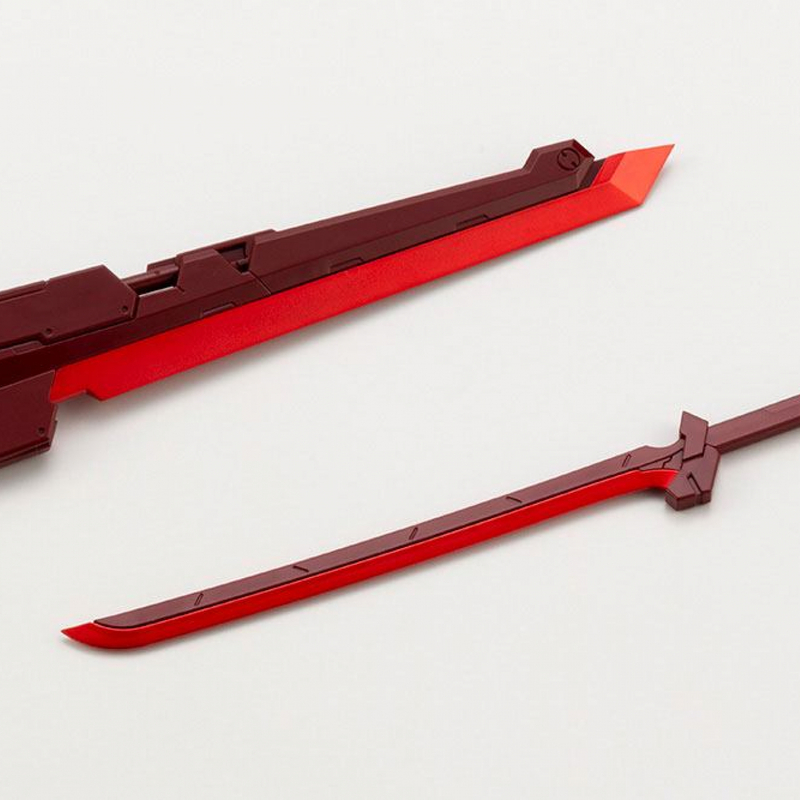 Weapon Unit 06 Samurai Master Sword, and M.S.G. 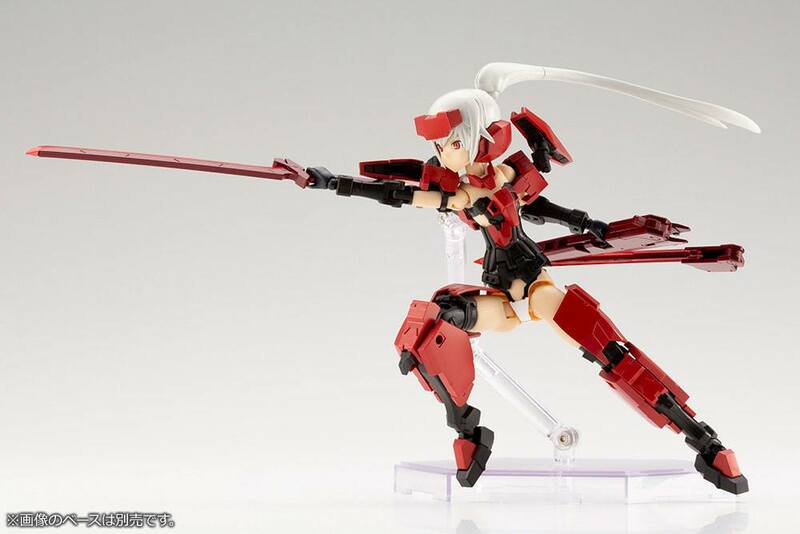 Heavy Weapon Unit 23 Magia Blade. 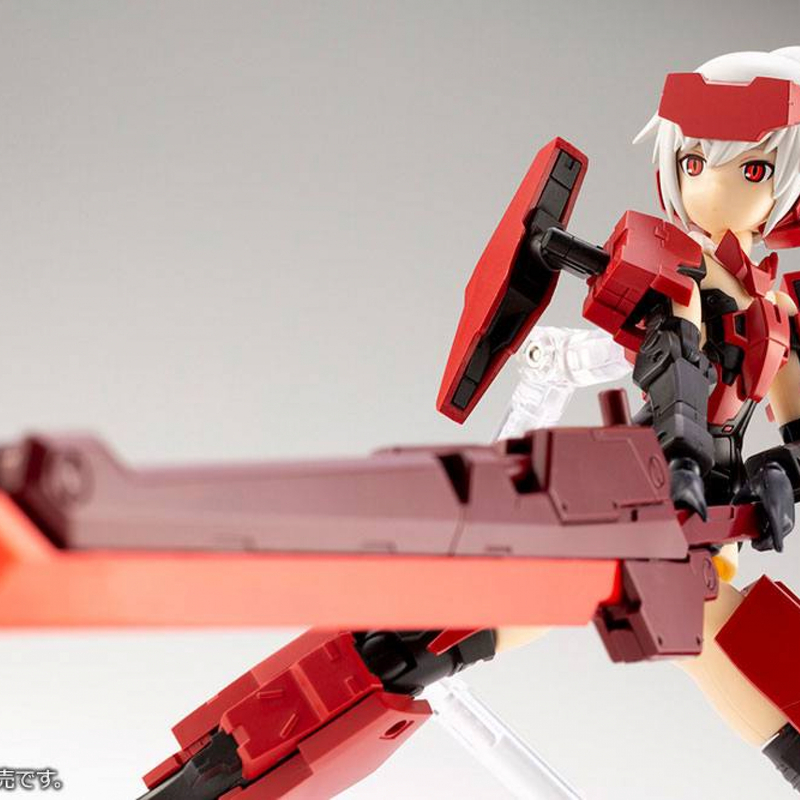 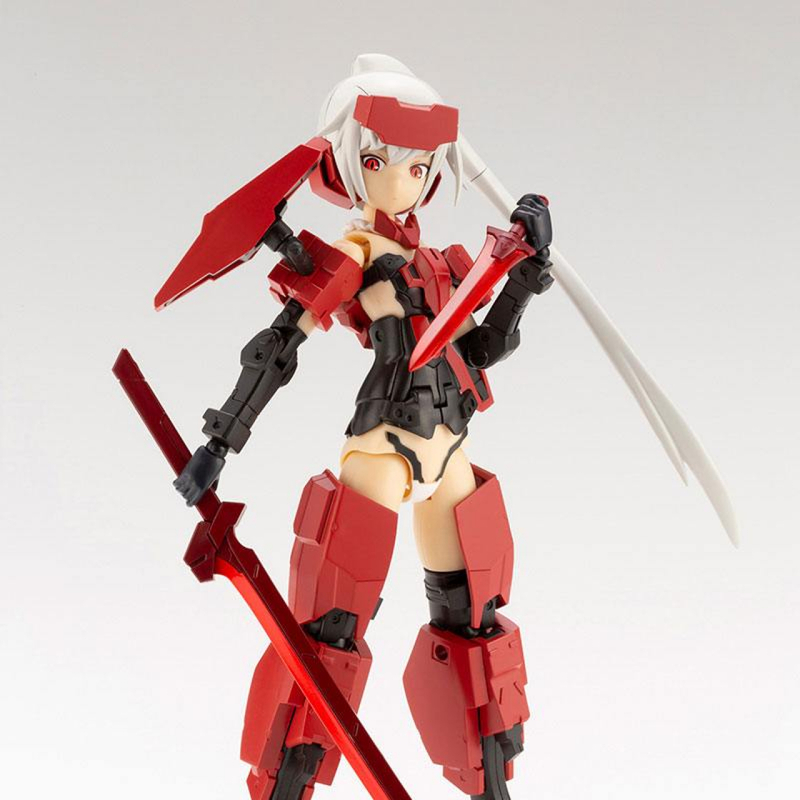 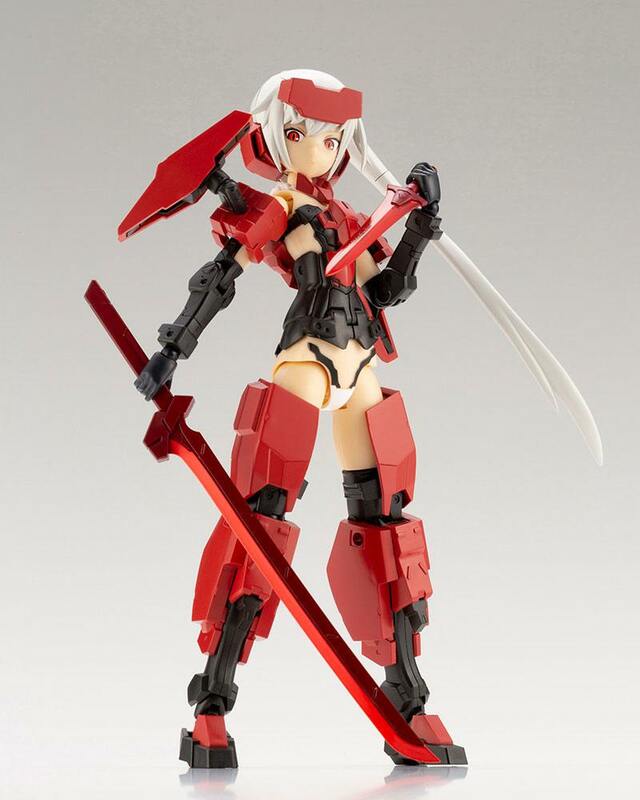 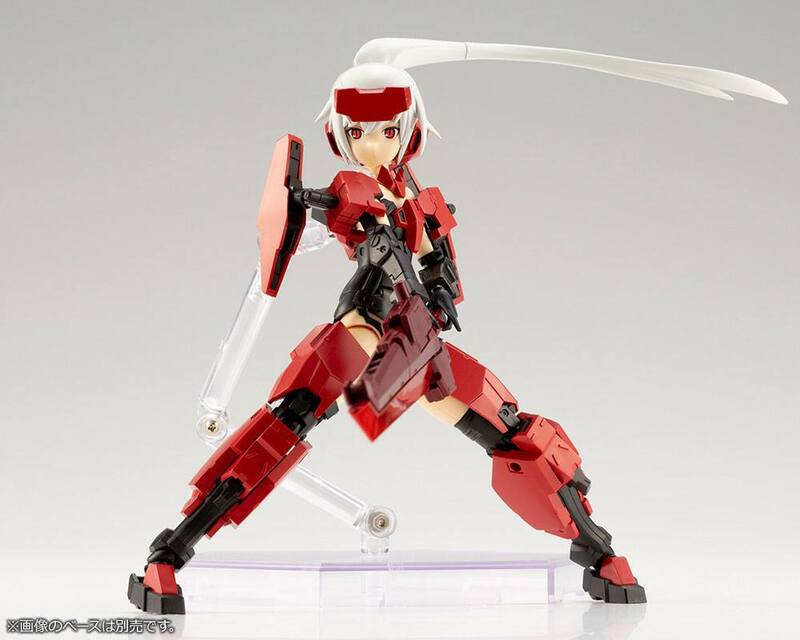 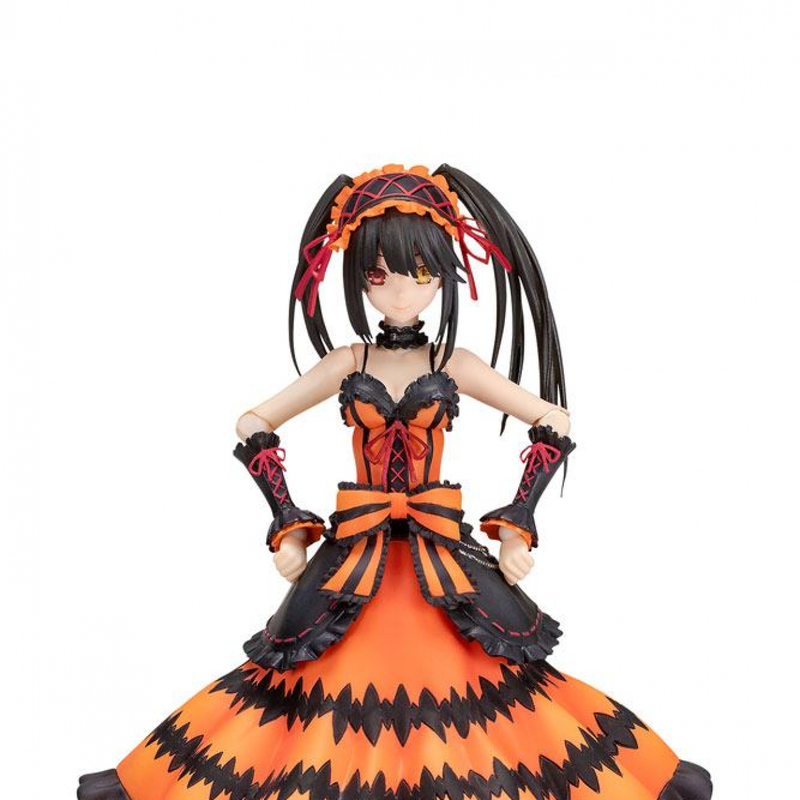 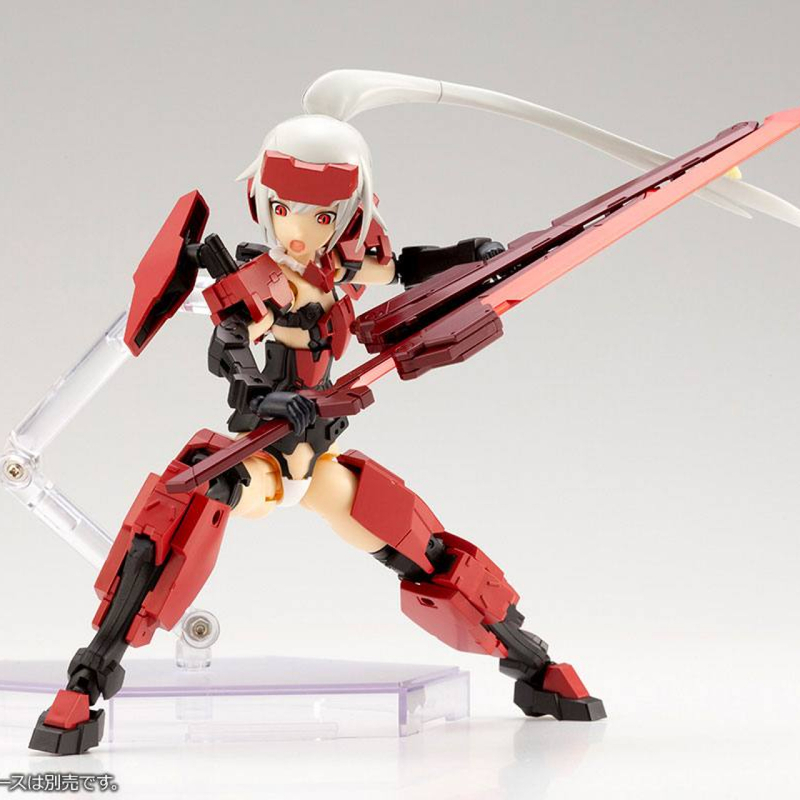 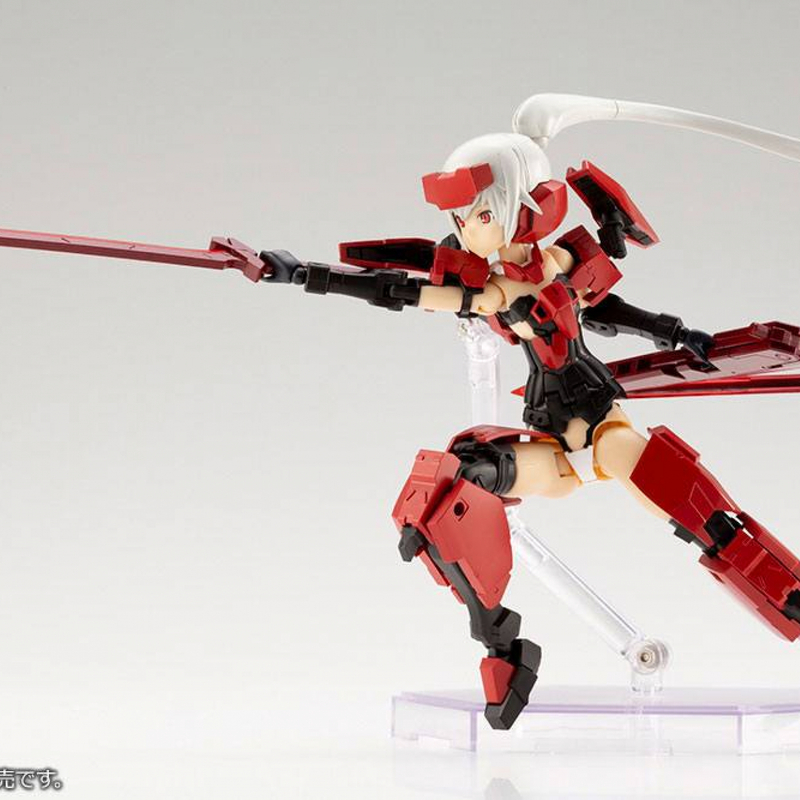 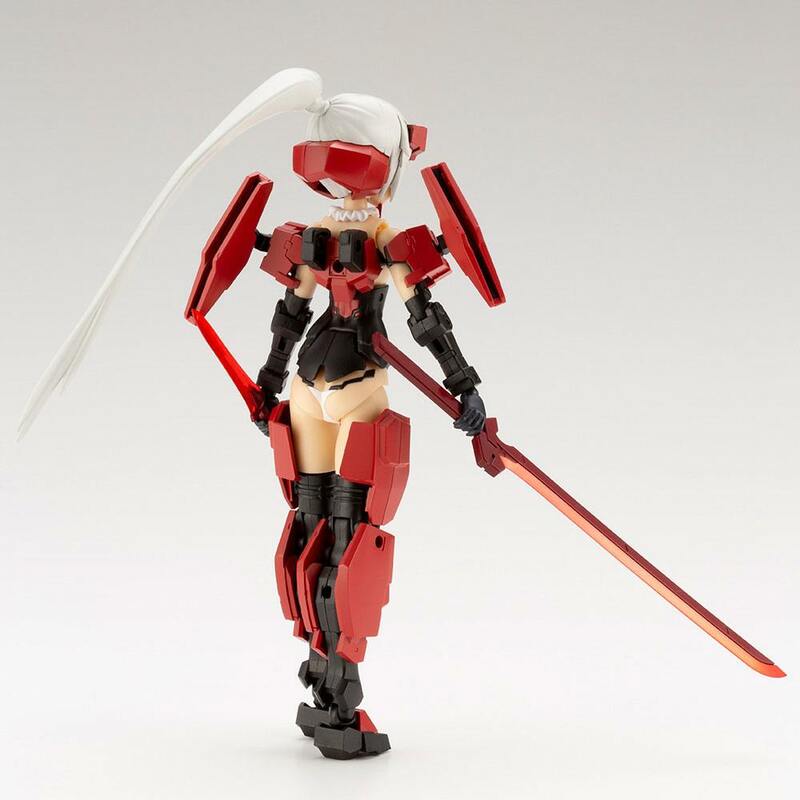 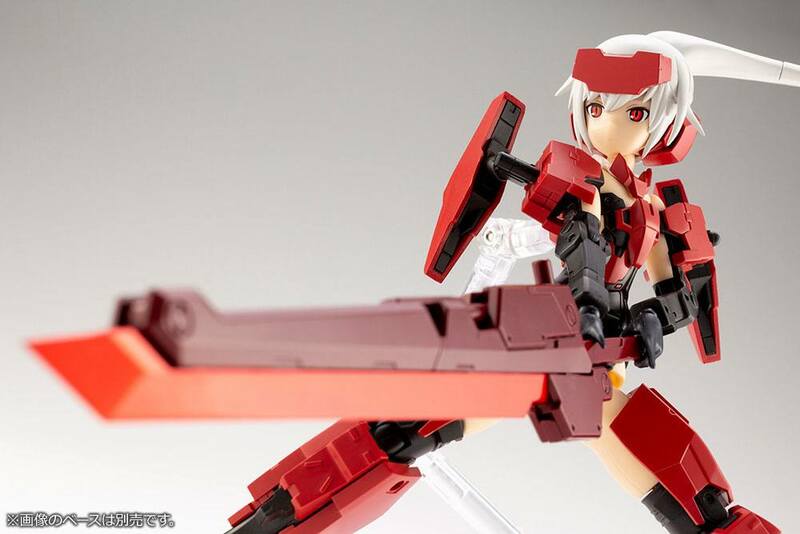 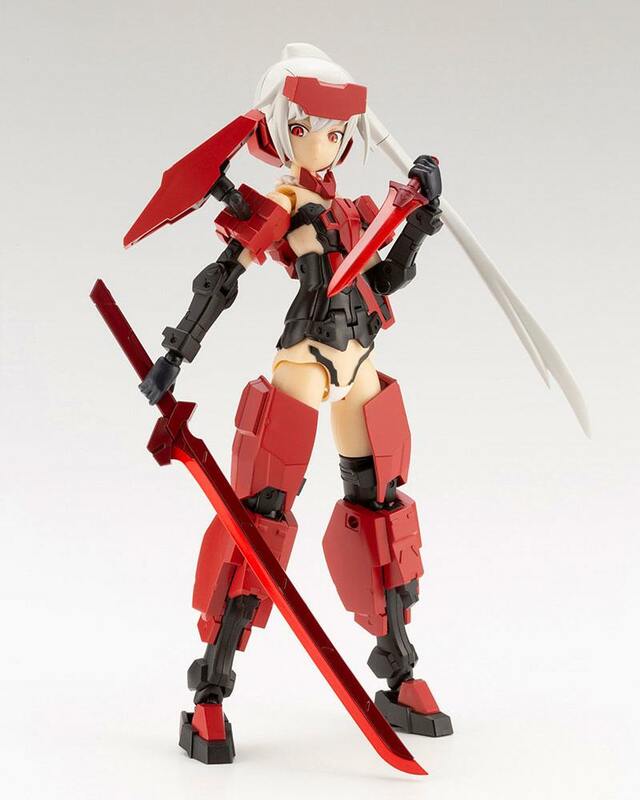 - The included Frame Arms Girl Jinrai model features an original Japanese style red and black color scheme. 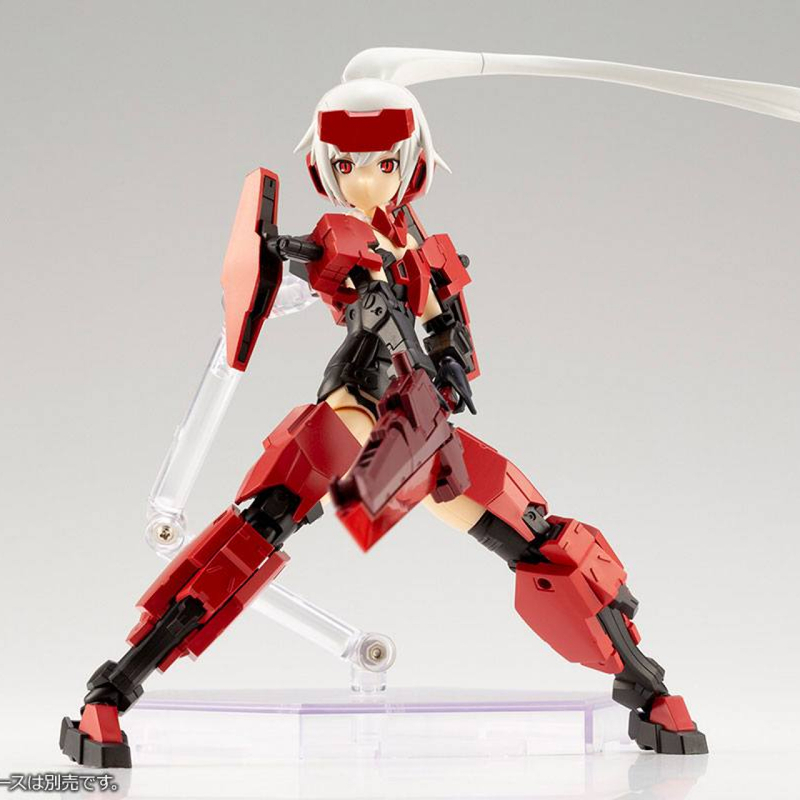 The kit also includes unique pre-printed face parts that give the Frame Arms Girl a novel appearance from the original version. 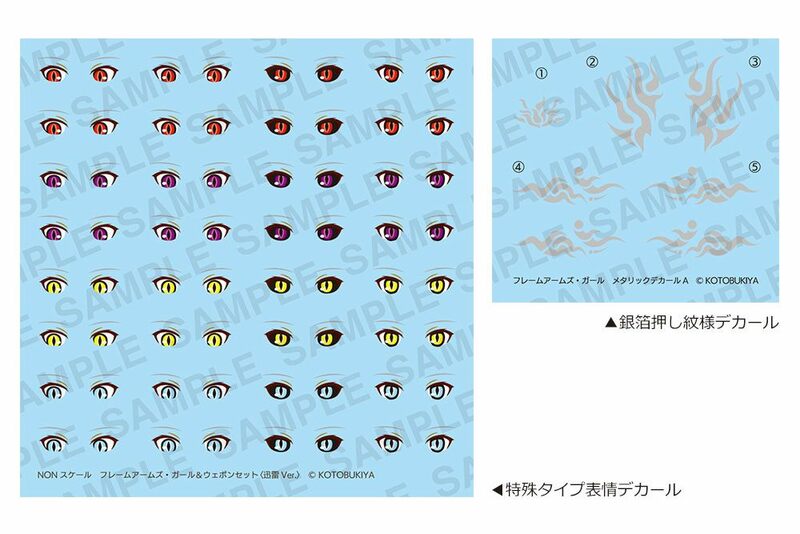 - The kit includes four pre-printed face parts: "looking forward," "looking down/right," "looking forward/down," and "wicked smile." 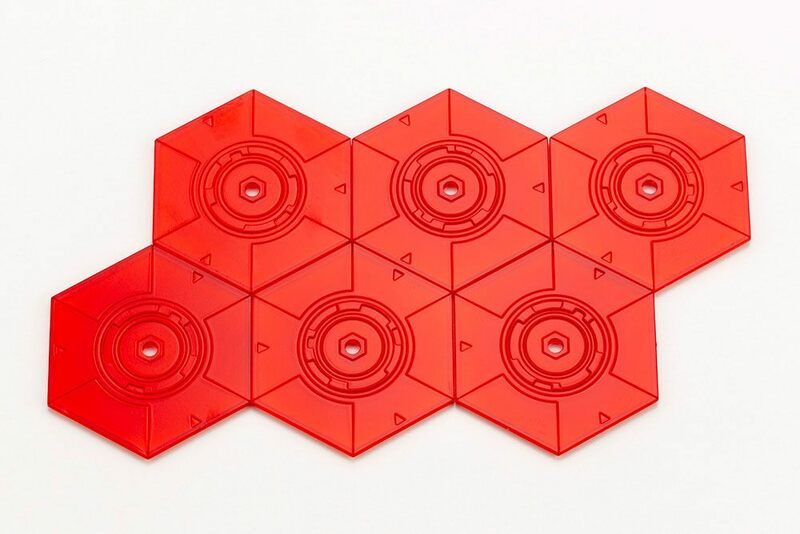 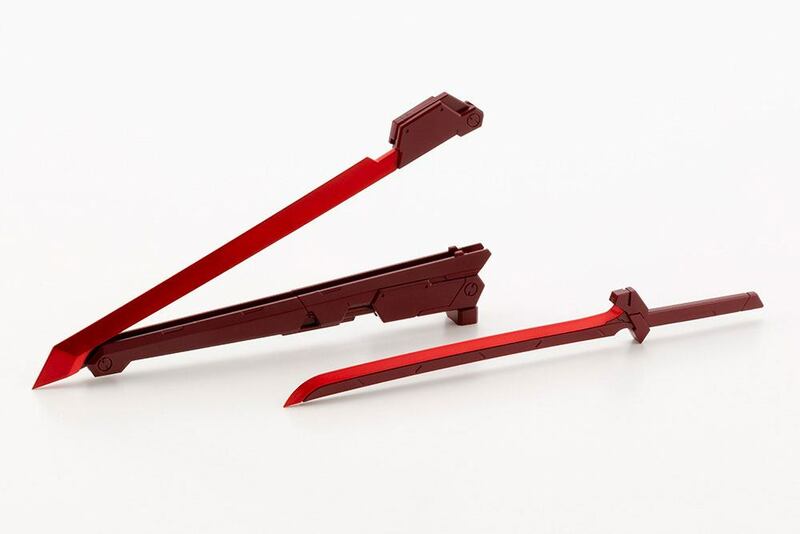 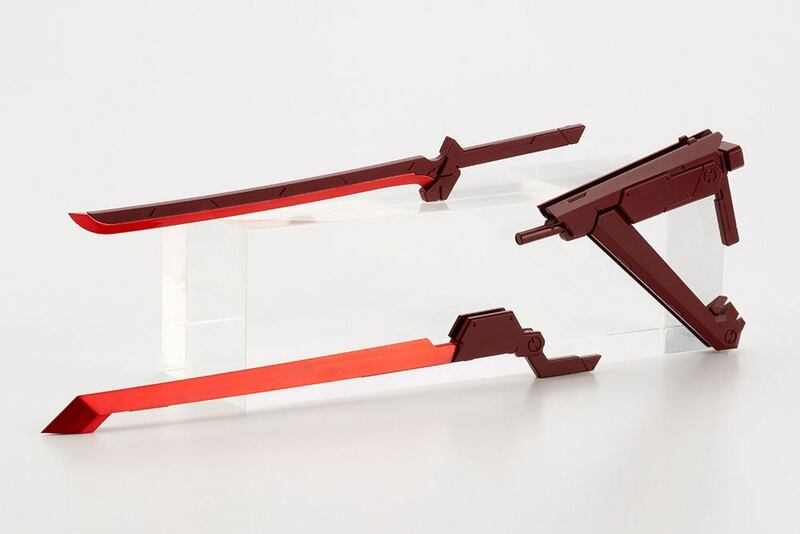 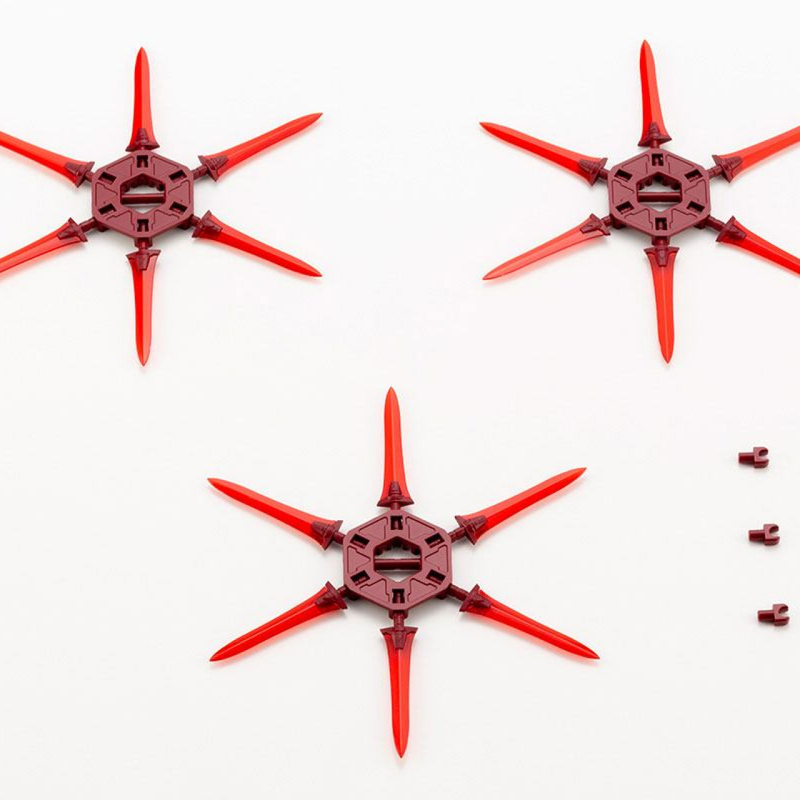 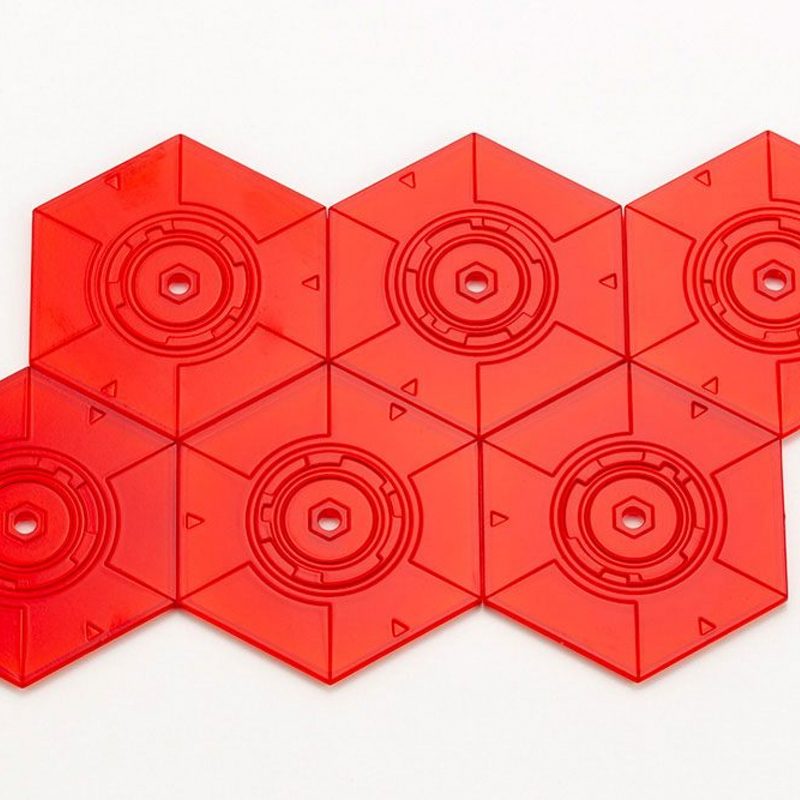 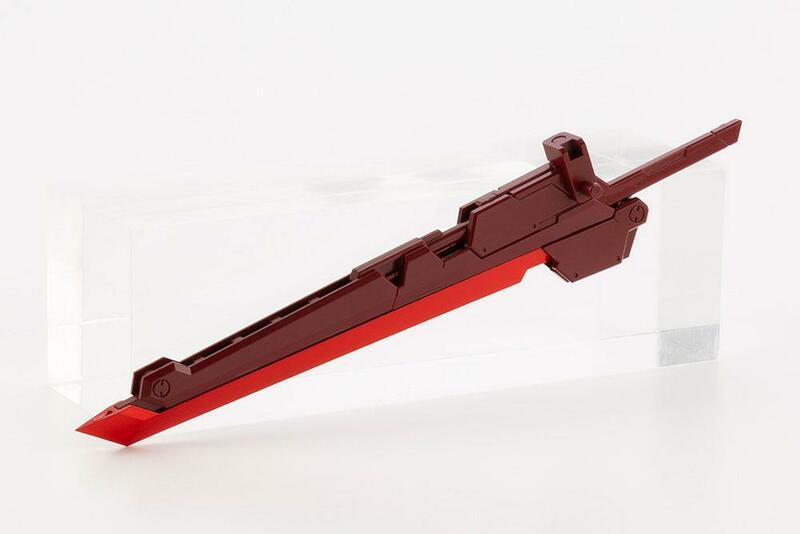 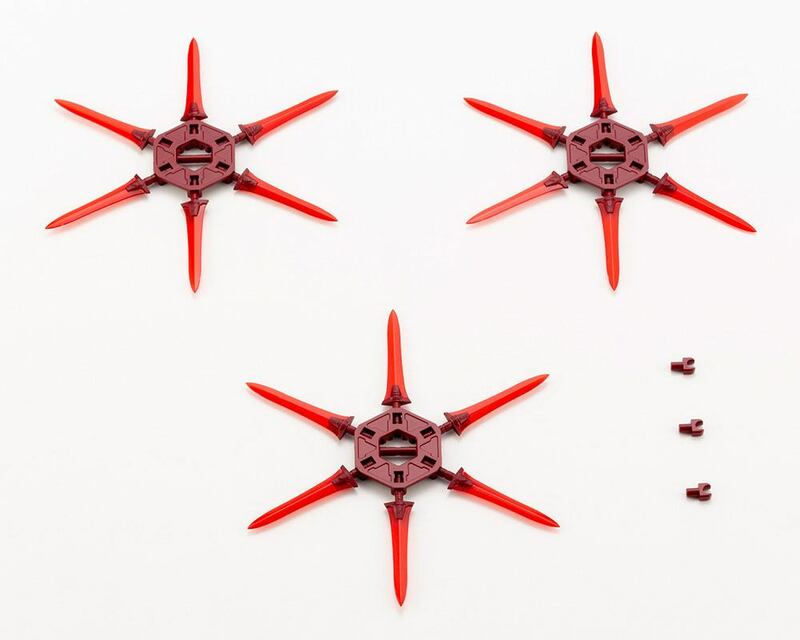 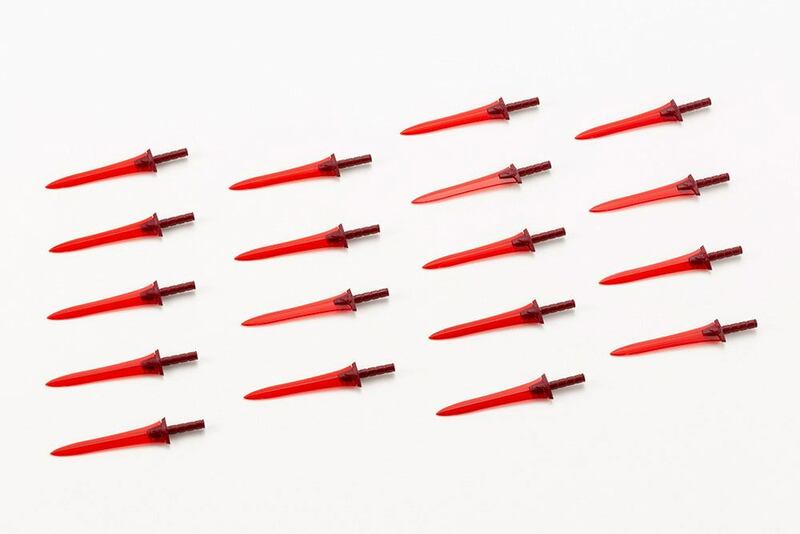 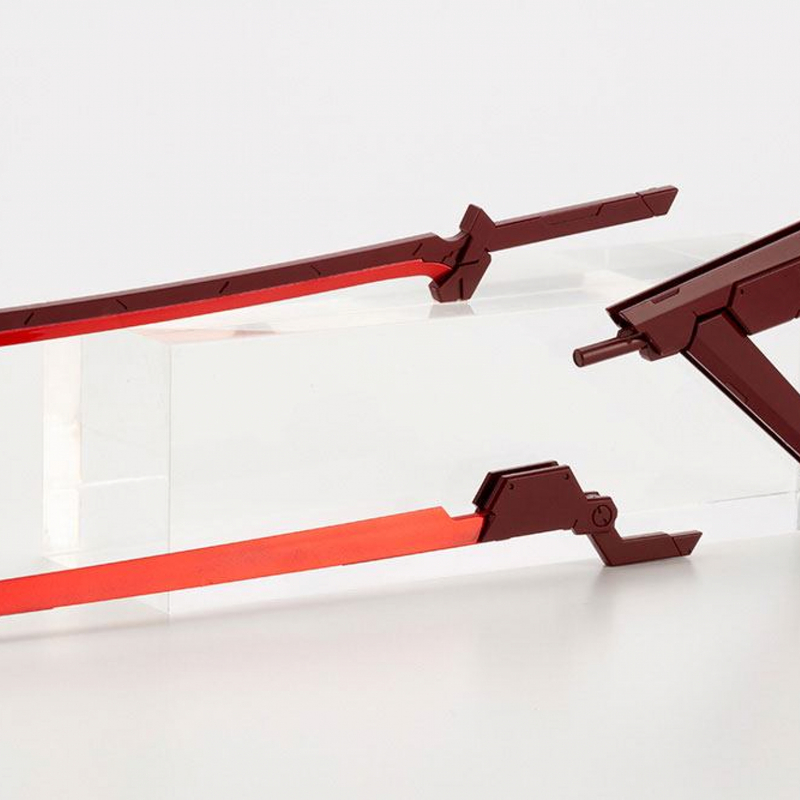 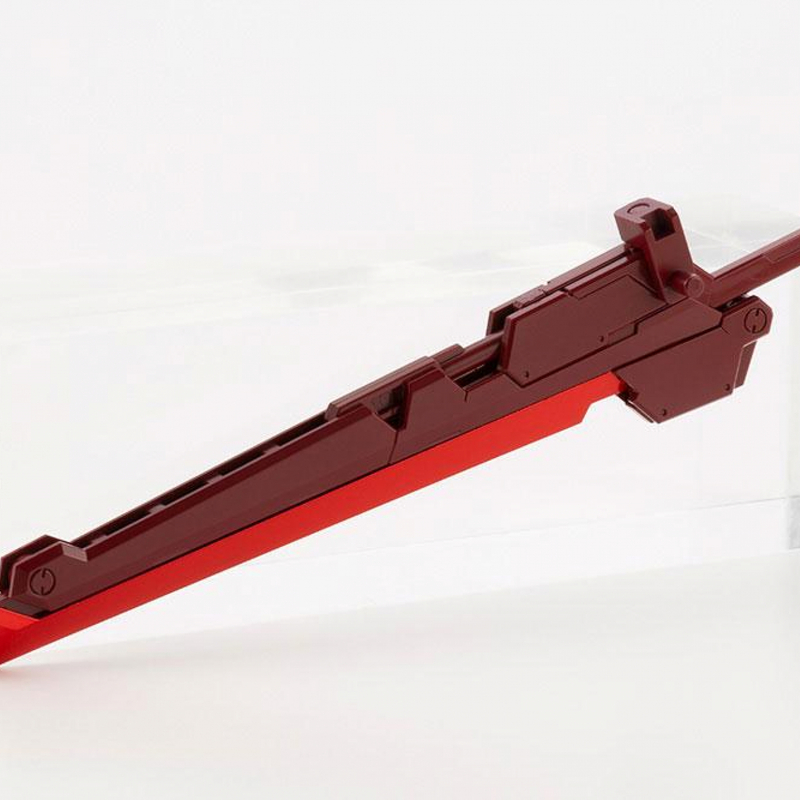 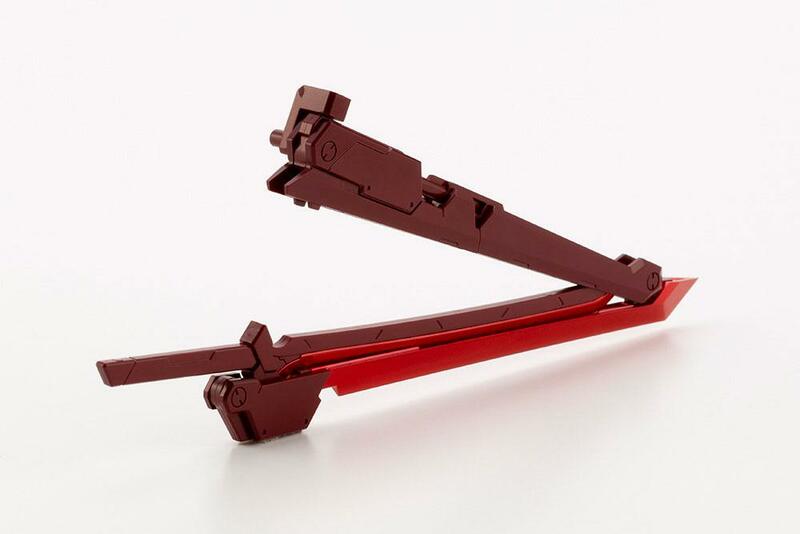 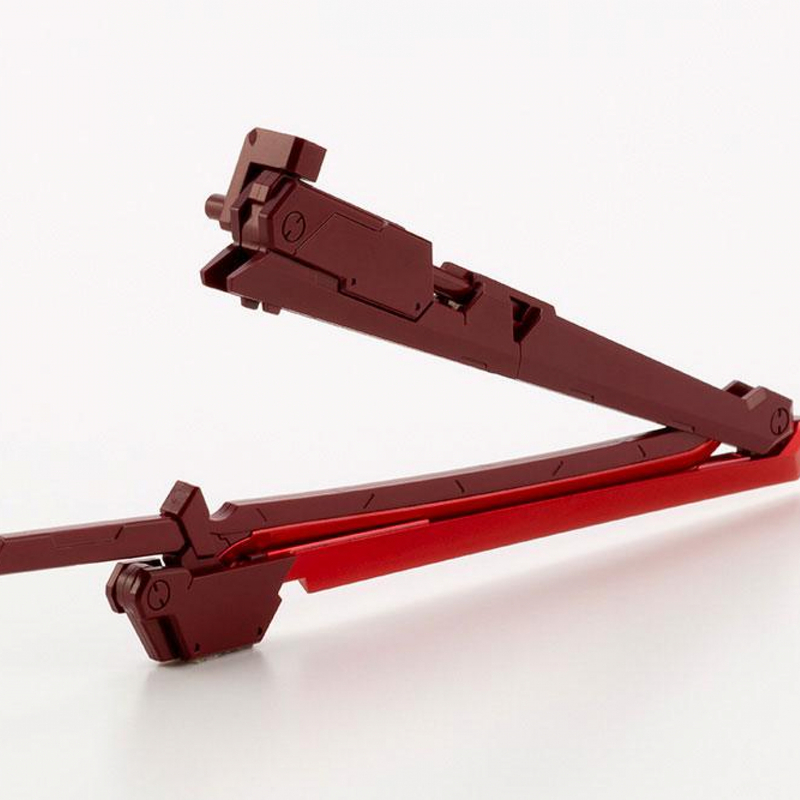 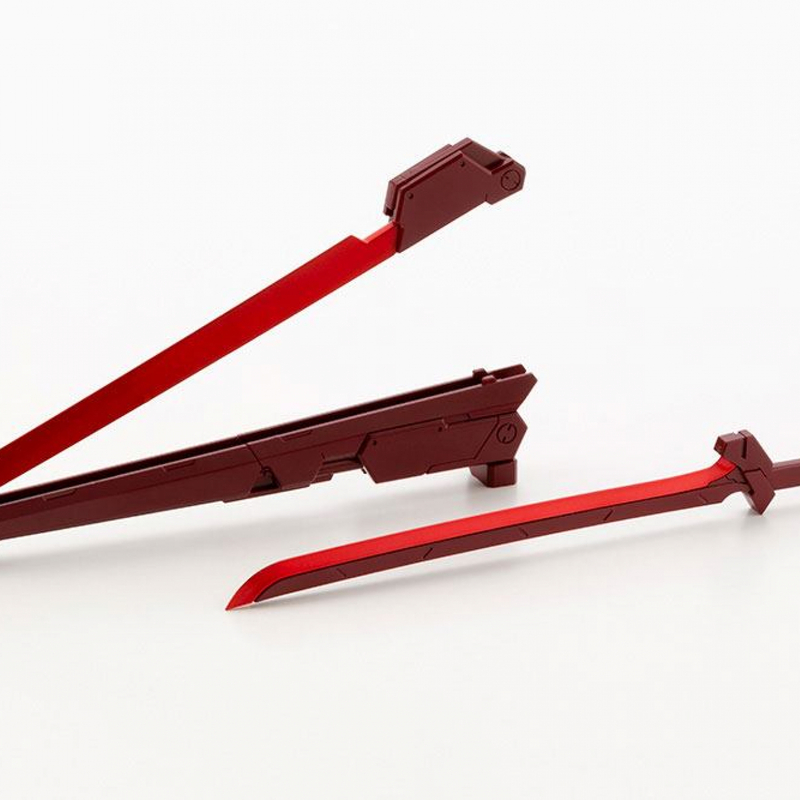 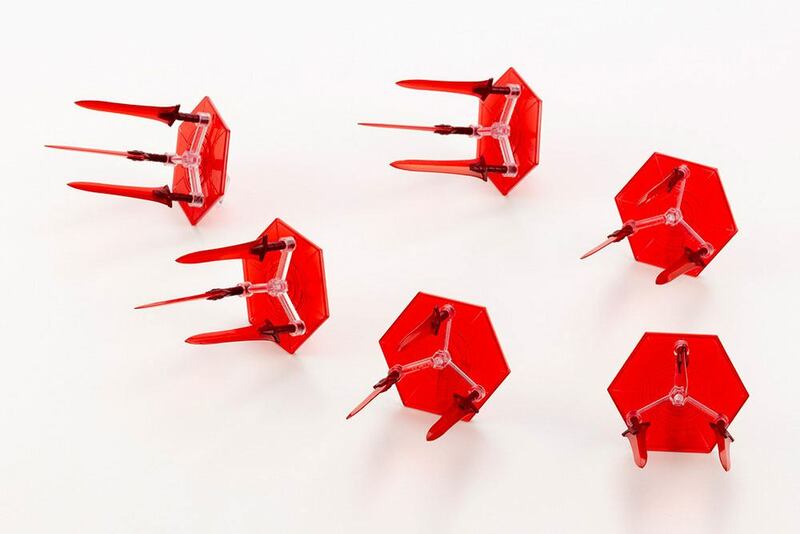 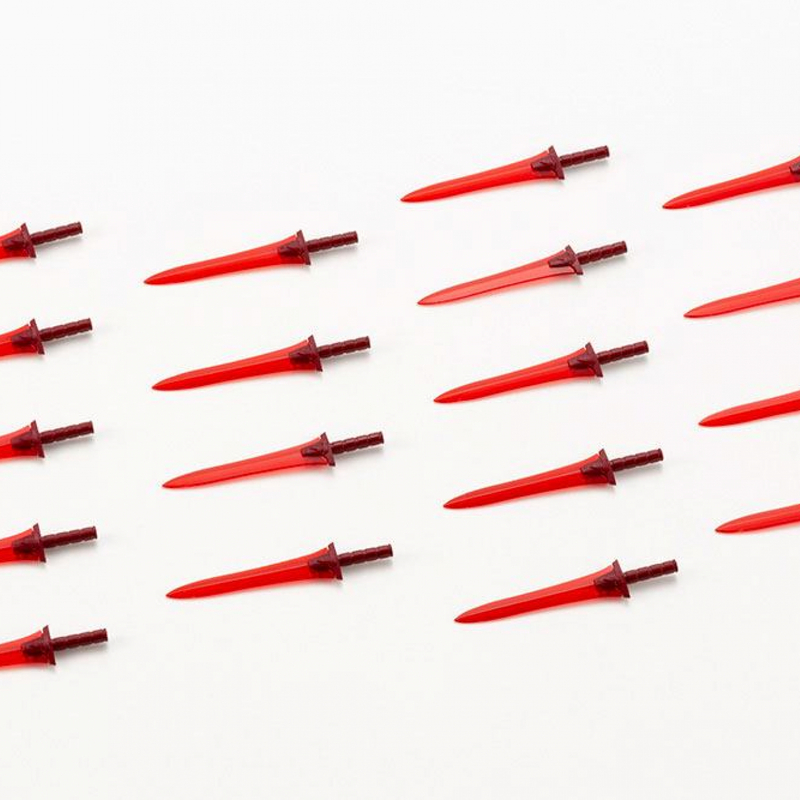 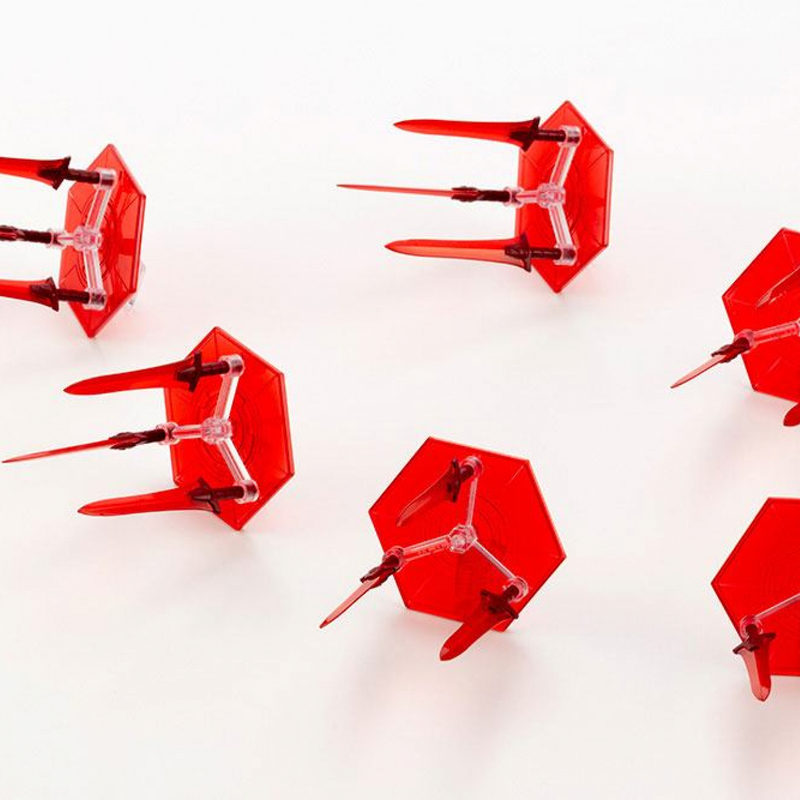 - The blades of the Samurai Master Sword and Magia Blade weapon units are made of clear red plastic. 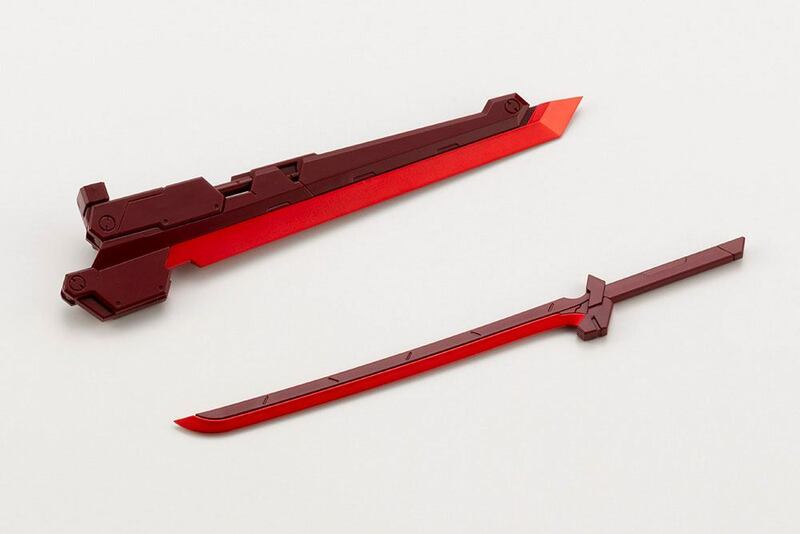 - The kit includes silver foil decals with a flame inspired pattern that can be used anywhere on the model or weapons. 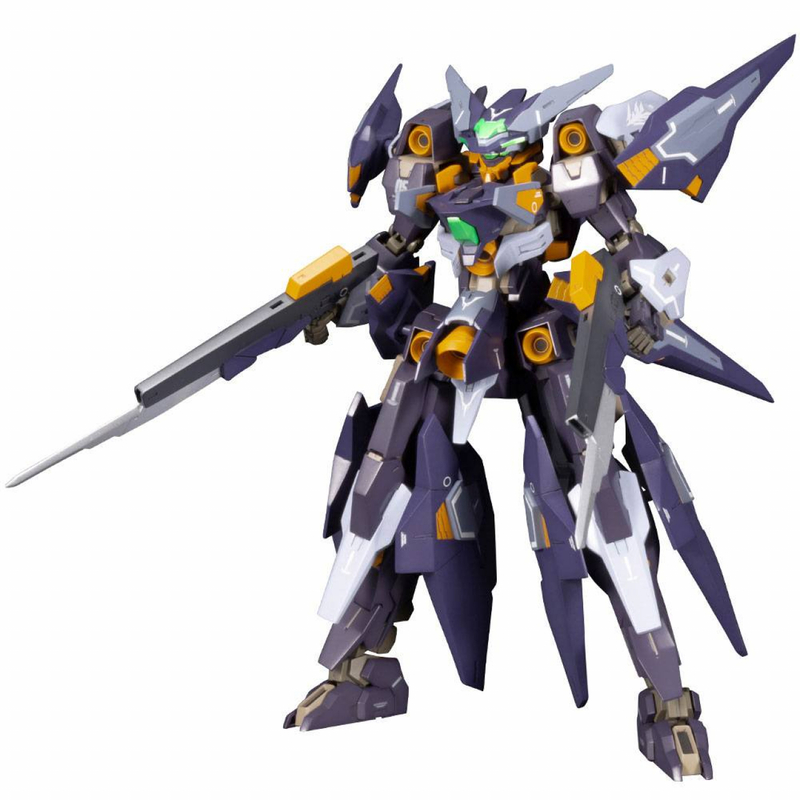 The kit also includes face decals for users who paint their kits. 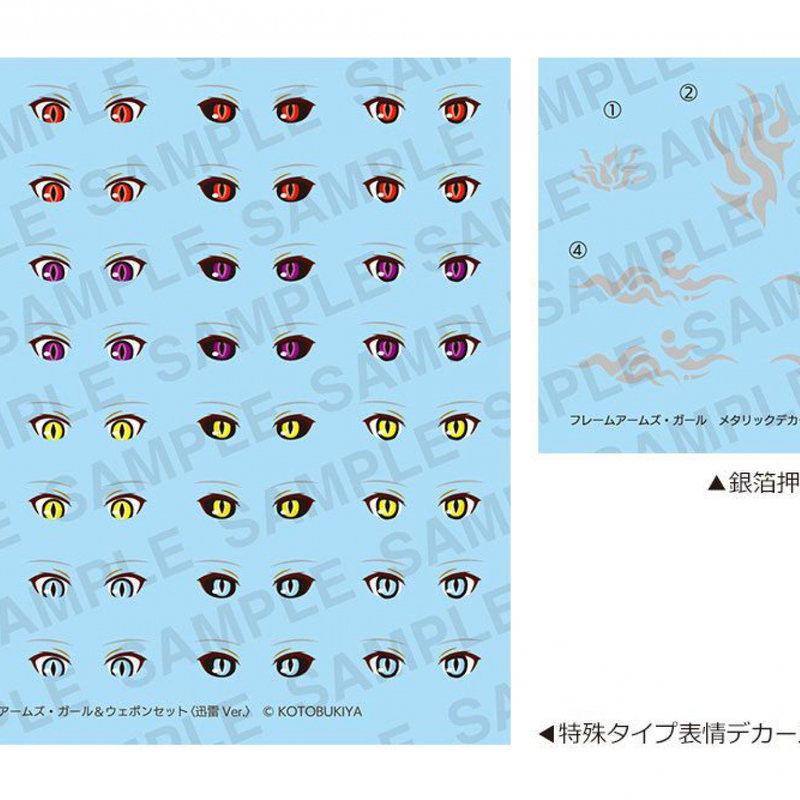 The kit includes red, purple, yellow, and blue eye decals. 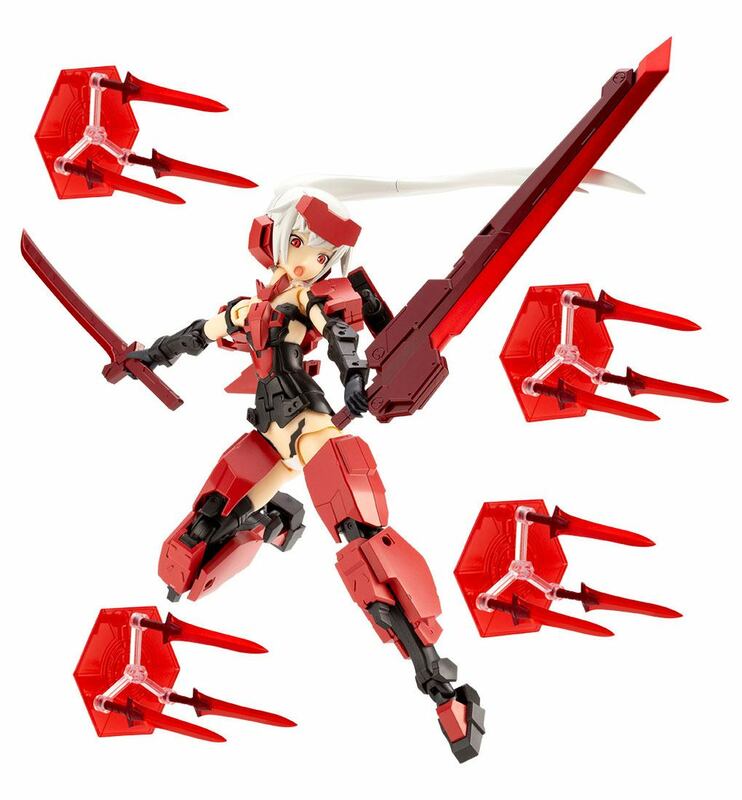 - This Frame Arms Girl and weapon set is perfect for displaying on the separately sold Playing Base A to recreate a variety of dynamic battle scenes. 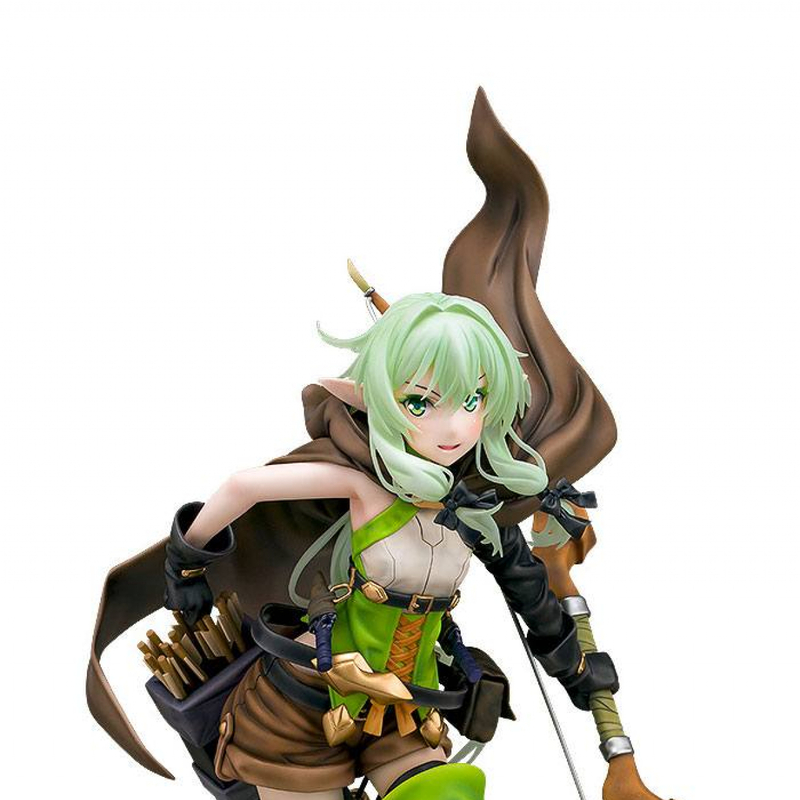 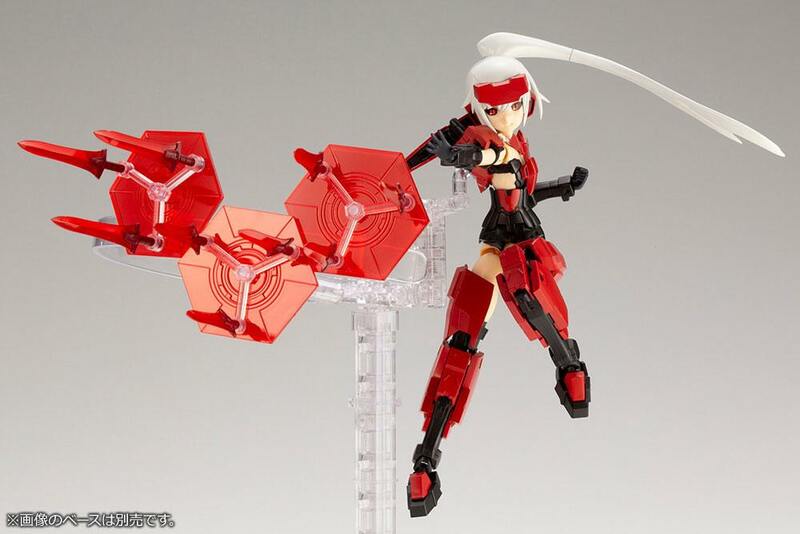 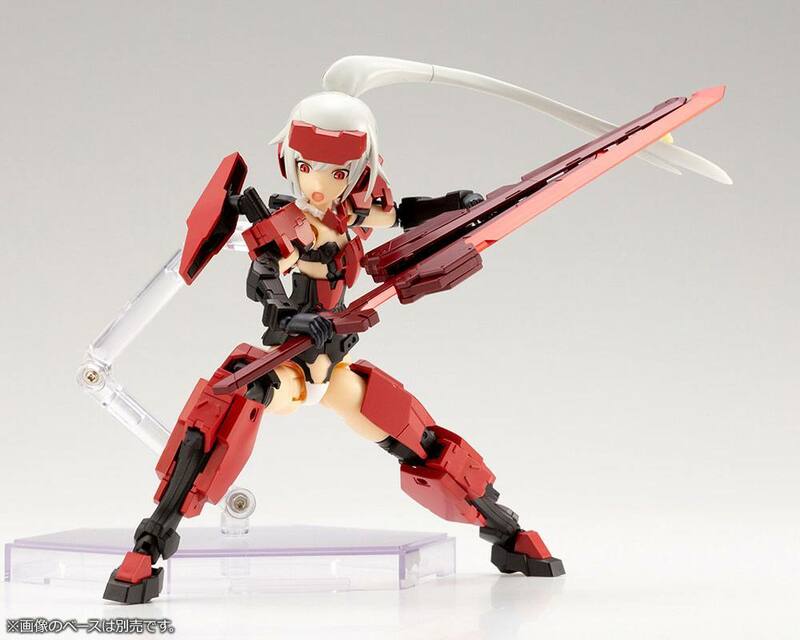 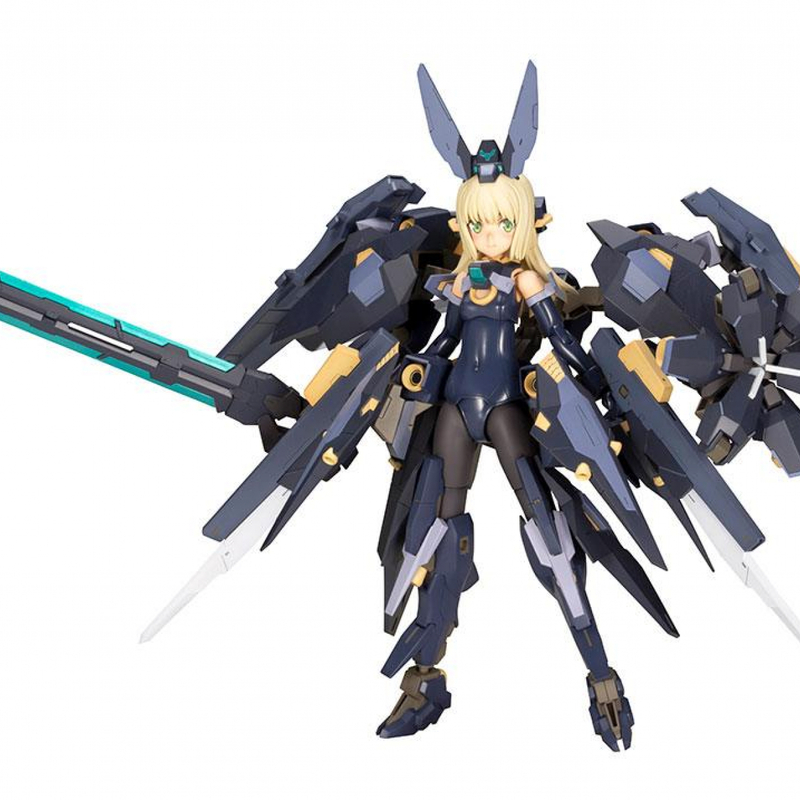 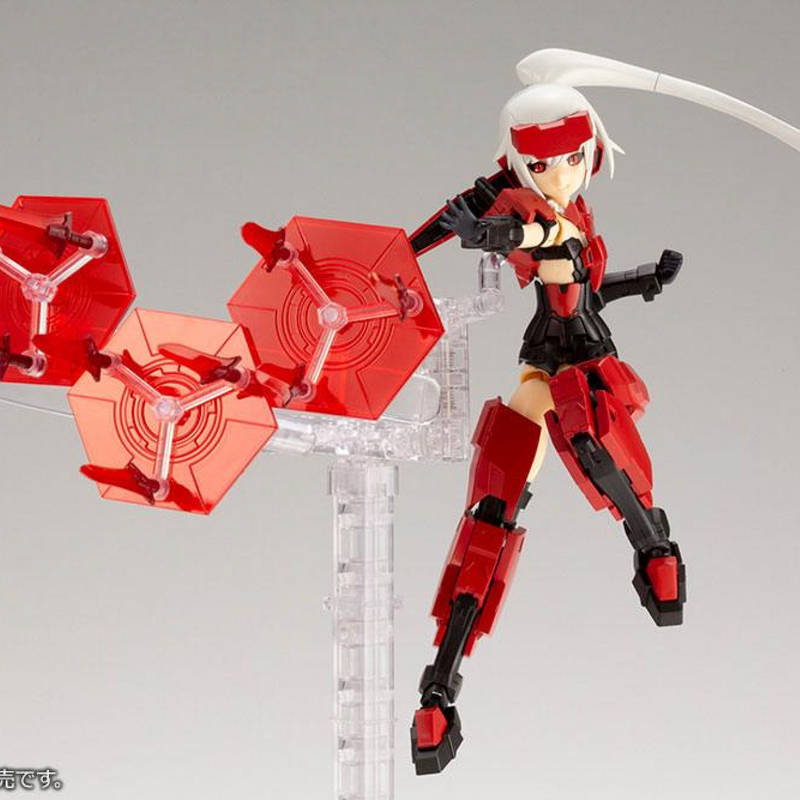 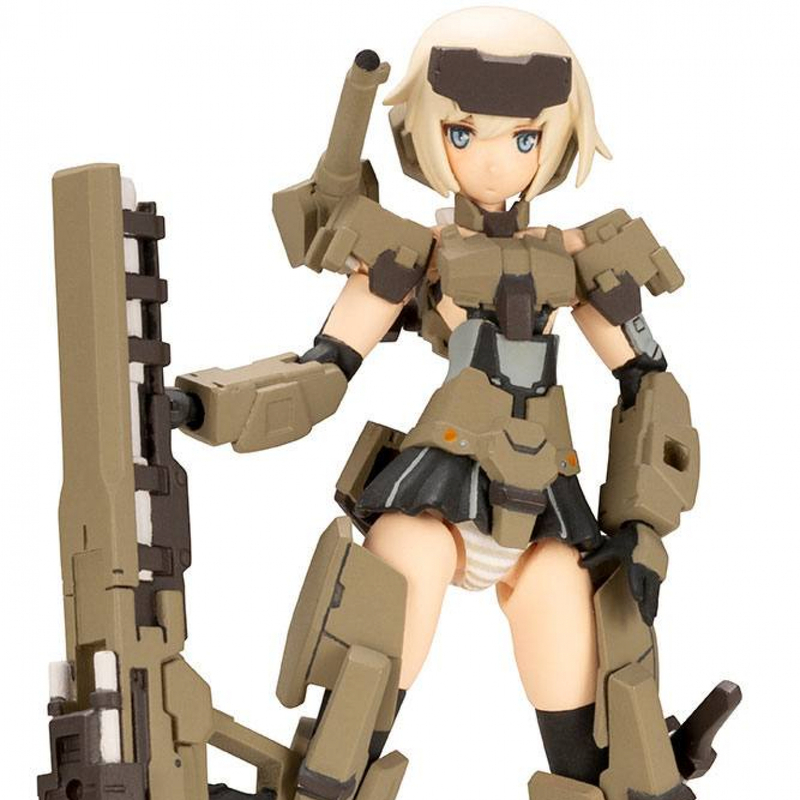 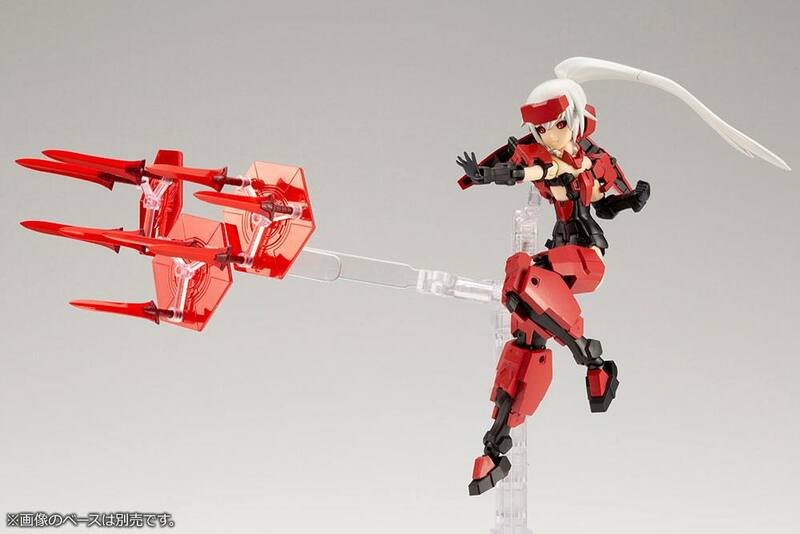 - *The equipment included with Frame Arms Girl Jinrai is made of colored plastic in the special color scheme.